The election and the following shock. While reading political news, Bubble Breaker will suggest articles from different perspectives. 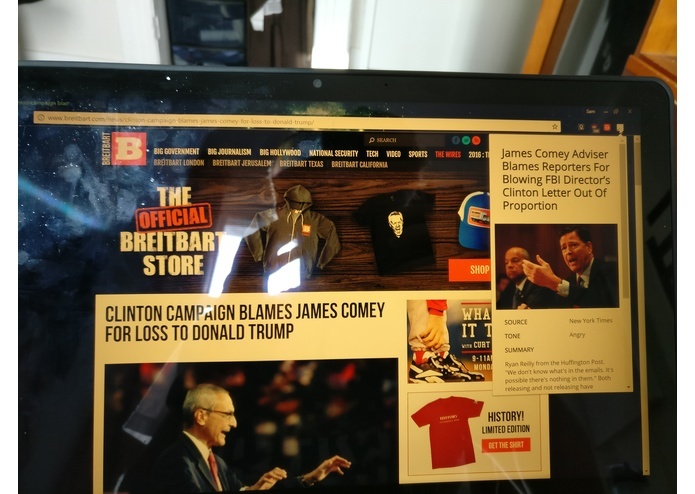 Built a chrome extension with a database of news sources with known political affiliations, queried when the user opens a webpage. Waffling on an idea until 3pm Saturday caused some issues. To man up and choose an idea. We want to add Facebook news feed changes in a way that doesn't excessively disrupt the regular news feed algorithm.